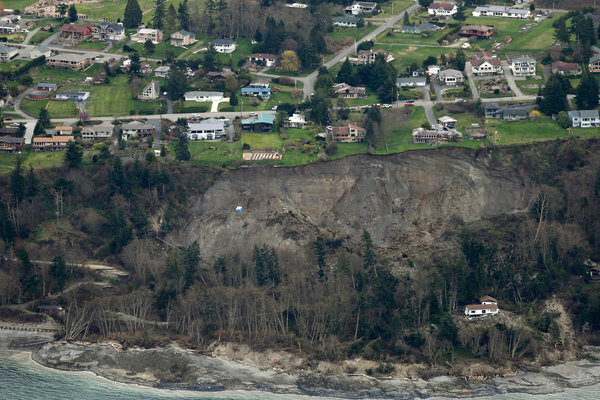 108 people are either missing or unaccounted for after Saturday’s huge landslide in the north-western US state of Washington, authorities have said. Eight bodies have been recovered so far after the 54m (177ft) deep wall of mud swept near the town of Oso, about 90km (55 miles) north of Seattle. Snohomish County emergency management director John Pennington said the figure did not necessarily represent the total number of injuries or fatalities. He said the list had been consolidated from a number of sources. “It’s a soft 108,” Mr Pennington told a news conference, the Associated Press news agency reports. “We have not found anyone alive on this pile since Saturday,” he added. Authorities have continued their search-and-rescue operations amid a tangled debris field that Washington Governor Jay Inslee labelled “a square mile of total devastation”. An eyewitness told the Daily Herald that he was driving on the road near Oso and had to quickly brake to avoid the mudslide. “I just saw the darkness coming across the road. Everything was gone in three seconds,” Paulo Falcao told the newspaper. Robin Youngblood, another witness, told the Seattle Times: “All of a sudden there was a wall of mud. Then it hit and we were rolling.